40 million notebooks are sold every year. That’s 40 million people searching for a pen. What to do? 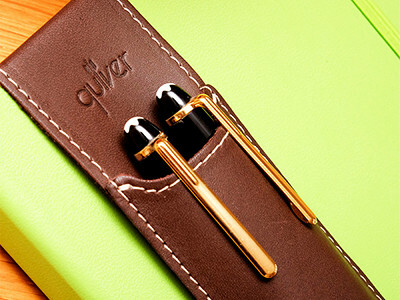 Founder Bob Koch and his partners created the answer: Quiver, the handsome leather pen holder that keeps your writing implement attached to a notebook. You never have to fumble for it when inspiration strikes. With two of the partners being industrial designers, it’s no wonder Quiver is so well made. Handcrafted out of 100% American Napa leather, Quiver gets better looking as it ages. 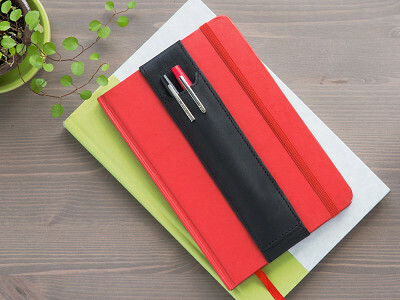 Its elastic strap easily slides onto any hardcover A5 notebook—like the popular Moleskine—while a steel spring helps keep it flat. Quiver works just as well for keeping your stylus protected and attached to your mini tablet case, too. The search is over. Your pen (or pencil, or stylus) will always be right where you left it. Hello Grommet! As the designer of the hand-crafted, leather pen holder we call Quiver, I am delighted to answer any and all questions you may have. 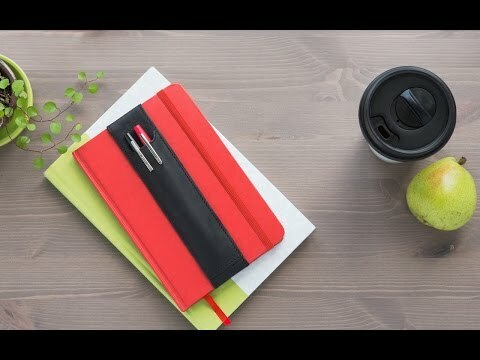 I use a standard US composition book (9.75" high)--are there any plans to develop Quivers that fit these size notebooks? @Heidi yes we do make a Quiver to fit your notebook but it isn't currently available through TheGrommet. I suggest you contact them and recommend that they look to carry the extra large Quivers. Hi Karen, as you can see from the video, it only pops up a little bit, but it's for the best of reasons because you know you have a pen handy! @Karen Mike is exactly right. The greater good of having a Quiver is having your favorite pen when you need it most. This is a fantastic idea. I would love to use this for my sketchbook. Unfortunately, I like the big 8.5 x 11 (~A4) size. Any chance we have larger sizes in the pipeline? @Marshall Thank you for your kind comments. While we don't offer a Quiver to for this size sketchbook currently, we are always introducing new Quivers as suggested by our customers. I would buy it if it weren't made of leather. Please consider offering it in a more humane material. @Portia we actual do make our large, A5 size double pen Quiver in ballistic nylon. Unfortunately it isn't currently available from TheGrommet. I suggest contacting them and recommend this Quiver style in an upcoming offering. 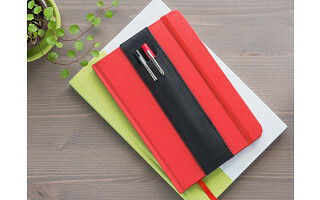 Is the elastic with the Quiver flexible enough to go around a softcover Denik notebook (Dimensions: 5.25" x 8.25" and roughly .4" high - about 150 pages)? If it is stretchy enough to go all the way around the notebook, that would be fantastic and definitely serve a need I've had forever. GREAT idea. @Brian as this style of Quiver will accommodate notebooks up to 9.25", it will work with your Denik. But you will need one of our soft cover adapters which provides just enough rigidity to your soft cover Denik. Just indicate on your order that you'd like one of our 209mm adapters. What a great idea for (song)writers like myself who always carry a notebook, and then have to find a pen. It would be very convenient to just grab my notebook and pens together. Will it fit Rhodia A5 Hardcover books 5.5"x8.25"? Say yes and you've got a customer. @Howard yes, absolutely, sí, oui, da, for sure. Welcome to the awesome world of Quiver Pen Holders. Will this fit the ipad mini? @Kim yes this style Qyiver fits the iPad Mini case quite nicely to hold both a stylus and pen. I have one on my Mini case. @Bob awesome! will it still allow for the auto sleep function to activate? 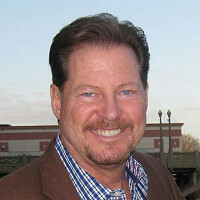 Hi Kim, straight from Bob himself: No the Quiver will not interfere with the sleep function! Do you think you can have a 2 for 1? We have numerous devices that could use this; only the budget is not as large.